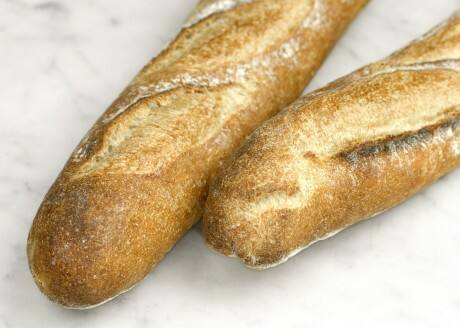 Always the measure of a baker's craftsmanship, baguettes are perfect in their simplicity. What the lady actually said was "Let them eat brioche." 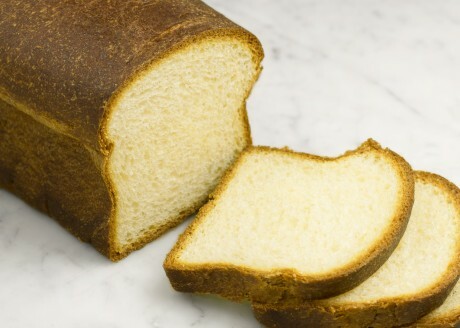 Neither too rich nor too sweet, ours is a soft, buttery classic. 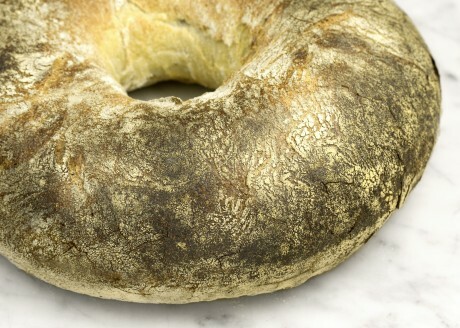 We mix a very wet dough and cut it by hand to achieve a light and lacy interior. 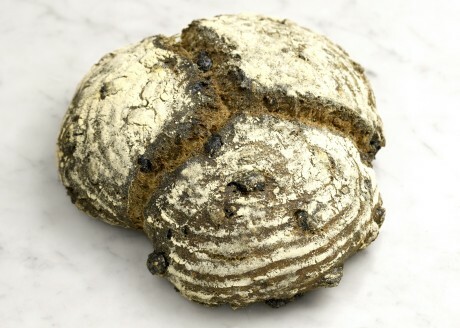 Dark-crusted loaves dense with raisins, dried cranberries, and toasted pecans. 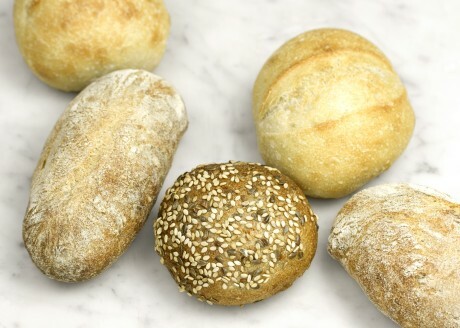 Individual-sized rolls, either crusty or tender, perfect for the table. 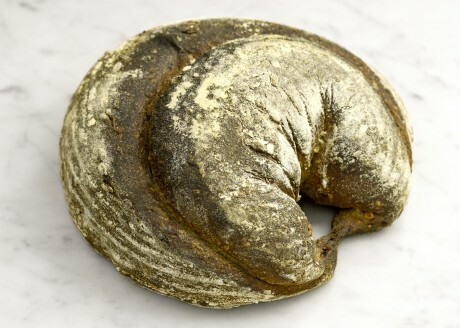 With its golden crust and moist, chewy crumb, the levain is our answer to white bread. 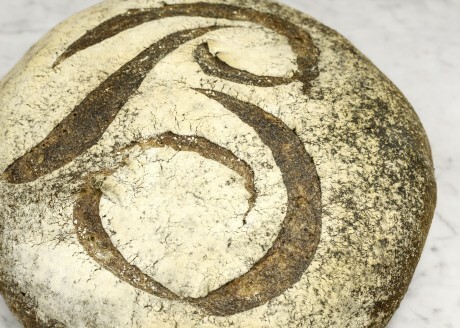 Naturally leavened with a nicely balanced flavor. 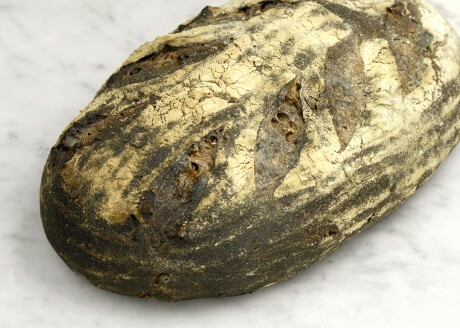 A hearty granary bread flecked with sunflower, sesame, and flax seeds, sweetened with a touch of honey. Robust loaves bursting with plump Kalamata olives. 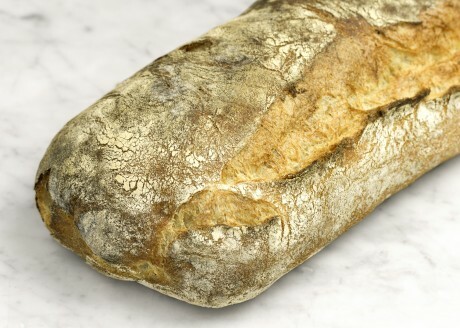 Chewy-crusted loaves in the tradition of rustic French breads. 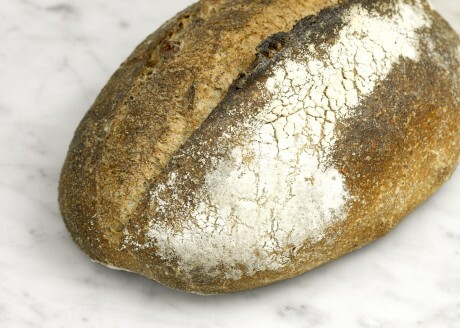 We blend organic whole-wheat and organic rye starters with some dark ale to achieve a deep and complex character. 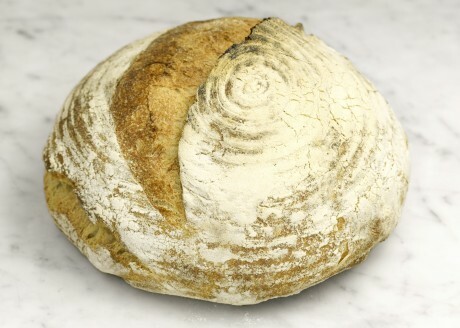 Fragrant loaves with crunch, ideal partners for fresh fruit or cheese.